Use dog treat icing to make beautiful dog treats just like professional dog bakeries do! We will show you how. We will also give you free dog treat recipes to get started. More and more people are baking homemade dog treats but the secret to making the icing like the professional bakers use has been well hidden, until now. There are many ways to decorate in an original style and we explore as many as we can, especially the ones the bakeries use. We are glad you found us. 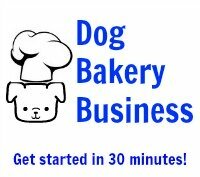 By exploring our website, you join our community of professional pet chefs and pet treat bakers. 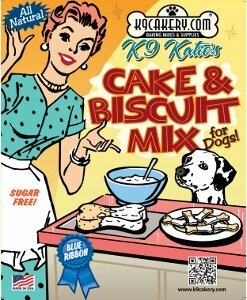 We are fortunate to have K9Cakery.com, the largest online dog bakery supply store as our sponsor. 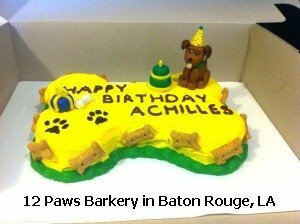 K9Cakery has been manufacturing award-winning products for dogs and other pets for years and we are proud to feature these products on our website. Occasionally there will be a special offer from K9Cakery. Subscribers to our newsletter will be informed immediately! We have our own in-house expert who is very happy to answer your questions. We will post all helpful Q&A so that everyone can benefit. Before you get started, be aware that there are some foods that humans find delicious but should never be fed to dogs, not even on special occasions! Don't worry, we cover all of that. You will be an expert by the time you are done reading. We won't leave you hanging. While the ingredients for some recipes are available in your local grocery store, the recipes for true professional dog treat frosting are not as readily available. But don't worry, we provide helpful resources and suppliers along the way. Icing alone does not make a pretty dog treat. There are many healthy, yet pretty decorations that you can use to really make your pet treats shine. You will be amazed at some of the items we have found for you. Finally, frosting is not very useful if you don't have free dog treat recipes to make the dog treats first. Again, we've got you covered. We provide an ever growing list of free recipes for you to get you started. So let's start salivating . . . er . . . baking homemade dog treats so that we can decorate them! Sign up for our free newsletter Dog Treat Icing to stay on top of trends in the pet treat business and get a free report: "The Top 22 Treat Flavors Dogs Are Barking For In 2016"